LOW MILES, RUNS GREAT. AIR BLOWS COLD. FINANCING AVAILABLE FOR ALL. 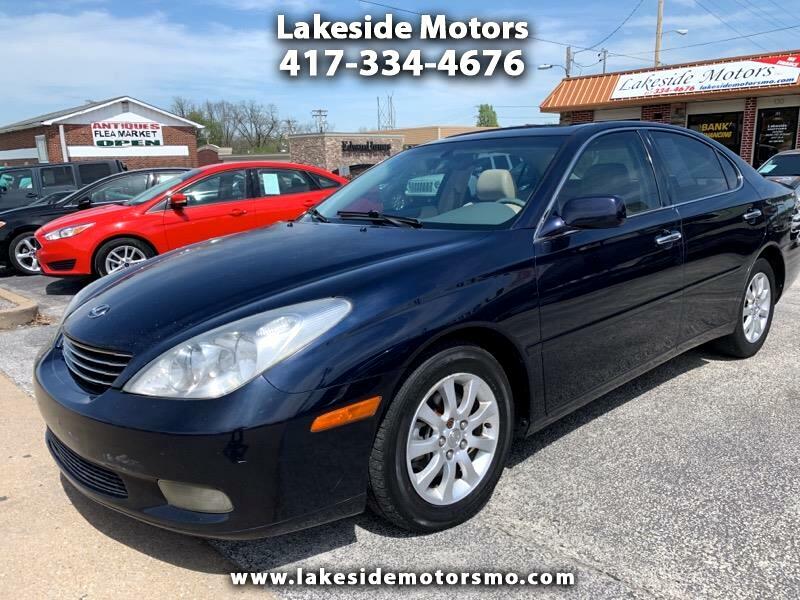 Visit Lakeside Motors online at www.lakesidemotorsmo.com to see more pictures of this vehicle or call us at 417-334-4676 today to schedule your test drive Lowest prices in Branson Mo and Forsyth Mo. Buy here pay here and Low interest rates . We also have Bank financing for good credit and bad credit. Several cars under $10,000 .. Message: Thought you might be interested in this 2002 Lexus ES 300.